At the level I’m at in my acting career most shoots last 1-3 days and normally have 5-10 takes for each setup. So, you can imagine how different it would feel to play the same character for 7 weeks with 700+ takes an hour of the same scene. This is what happens when you take a “scareactor” job for Halloween.In Los Angeles Halloween jobs for actors are posted all over the casting boards. In the past I’ve scanned right past these jobs but this year I decided to audition for Universal Studios Halloween Horror Nights. Horror Nights combines the theme park rides with haunted houses and mazes. The auditions consisted of a demonstration of your ability to scream then asking you to improv both killing and being killed. Upon being hired you must attend an orientation to work for Universal and one for Horror Nights then you have Scare Academy where you learn safety and how to scare and get an overview of the entire event as well as you have a separate rehearsal night for your maze. Universal’s scareactor positions are covered by AGVA (the American Guild of Variety Artists) which is a sister union of SAG-AFTRA. Joining AGVA means that you get union benefits like mandatory breaks and regulated pay. The unusual benefits to working for Universal are the availability of amenities like community workouts, movie screenings, free tickets to the park, discounts and free parking at city walk. Being a scareactor is dangerous though, more often the actors hurt themselves than being punched by a scared guest. Hitting yourself with a door or pulling muscles happen often so there are extensive medical personal that work at Universal to make sure you are healthy at all times. The makeup, costumes, and sets are phenomenal and are all treated just like any other Universal TV or film production. 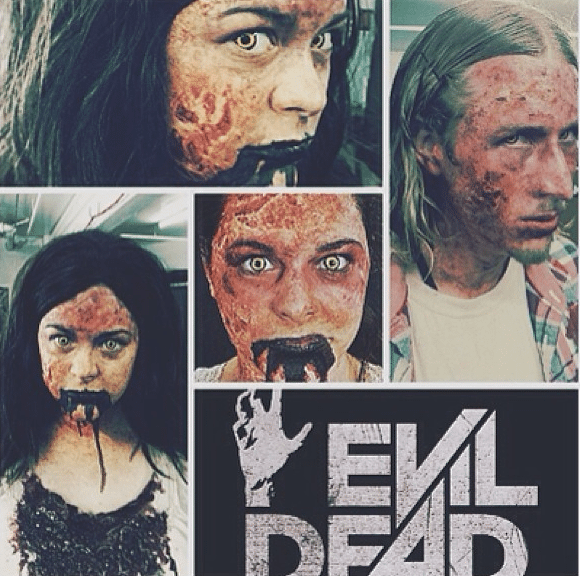 They hire a makeup staff of 30+ industry professionals that use pigments, prosthetics and prozaide transfers to turn 500 actors into zombies, demons, and monsters in a period of 3 hours every afternoon. This year they also added the addition of costume contact lenses to make me and the other demons in my area movie accurate. Universal is known for taking classic and current horror films and bringing them to life in terrifying mazes. My job the last 2 months has been portraying Mia from the remake of Evil Dead. When I scare people their reactions are so varied some people laugh, fall, or make jokes. 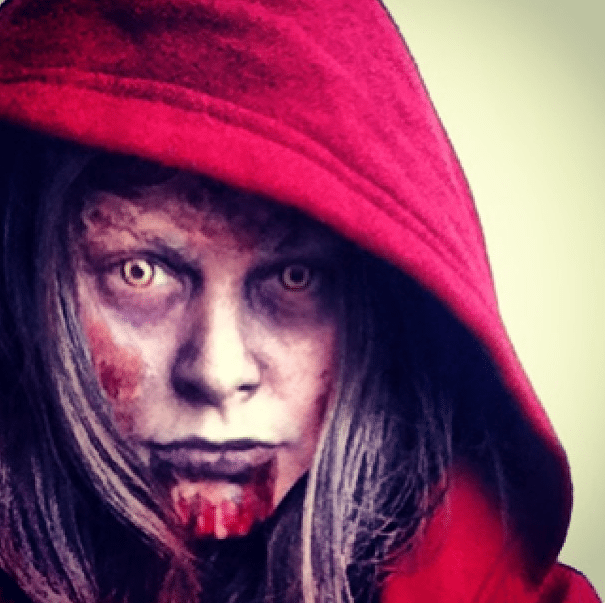 Working as a scareactor is a very interesting look at sociology and how people react to fear. There is no other job out there I know where is it acceptable to be cursed at, sexually harassed by guests, or yelled at all in good fun. The job is exhausting and from the time you are hired in August till the event ends in November it never gets easier and each night is treated like the first night. My experience has been wonderful and if you are an actor that’s new to LA or looking for a short term commitment with a steady paycheck I’d highly recommend it. Did I mention how awesome it is when you have celebrities, or the cast of the film you’re portraying, or friends you recognize come through and you get to scare them!? Being a demon isn’t so bad. The following is a list of Halloween Haunts in Los Angles that hire actors. Some of these start to hire as early as July, though actors come and go and they continue to rehire throughout the season. I love a good haunted house so I look forward to you scaring the pants off of me next year!